We are pleased to announce the lineup of vendors that we have for you at our market for 2019. 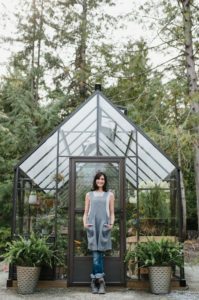 Based out of Pemberton Meadows, B.C., Catherine, a lavender farmer also designs & creates lavender & horticultural décor. She specializes in container gardening & wreath design, and loves to share her passion for all things botanical through her garden talks & workshops. Glass beads handcrafted in Whistler are featured in one of a kind serving pieces to make your table absolutely unique. High impact jewelry combining glass beads with pearls, semi precious stones and silver will also give you an edge on creative dressing. Linda Davies delights in making these glass wonders in her Whistler studio. 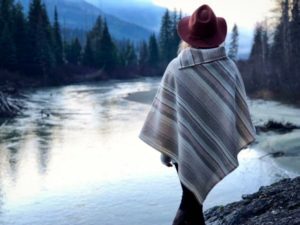 Kassandra is an artist who works primarily with ink to create abstract art pieces that are greatly inspired by the landscapes of British Columbia. With the invaluable experience she gained as an art teacher, she now creates art of her own and lives in the Sea To Sky stler Corridor. Sugar Momma Pastries is thrilled to be returning for her fifth year to the Made In Whistler market this winter. Her pop-up shop promises to enchant you with pretty little yummy things ~ beautiful cookies and delightful cakes, French macarons, a selection of squares & brownies(salted caramel, anyone?) Visit Sabrina for a treat on your way through the market, or have her box up some goodies to take back up to your room. 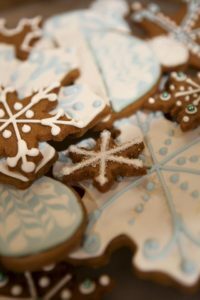 This year we are excited to be offering cookie decorating and other workshops through the hotel. Everything is made from scratch, with love by the Sugar Momma herself! Carmen has been designing her unique one of a kind accessories for almost 20 years. Using her hand spun and hand dyed wool, strongly influenced by her West Coast vistas, Carmen creates pieces that are timeless additions to a winter wardrobe. After studying natural dyeing at NSCAD, Carmen is a converted forager and a curious collector of any plant or object that might yield a speck of color to wool. Being curious is the start of making beautiful things. 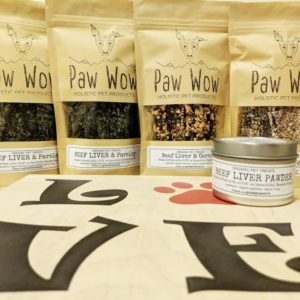 PowWow’s profound love of animals has them creating some of the most delicious treats for our best friends. Their organic, dehydrated, handcrafted pet treats are made with heart in beautiful Pemberton BC. Their ingredients (meats and veggies) are sourced from local organic farms and combined with other super food ingredients in their very own holistic recipes. No preservatives, no additives, just a real, nutritious, wholesome product. Lovestones Whistler was founded by Stacey Mathews in 2013. 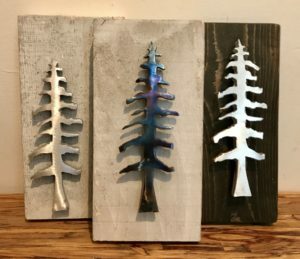 Starting initially as collections that focused on a wide array of crystals and their natural healing properties, it has grown to also include ecopoxy resin pieces that encapsulate local vegetation, as well as locally mined crystals that reflect the surrounding geology. Manishi travels to the Himilayas and forages the shrubs that he uses to create the paper uses in his work. 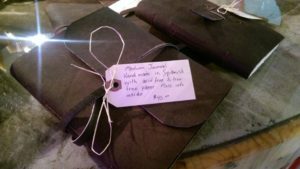 He then brings this beautiful paper back to Squamish to create these exquisite journals. 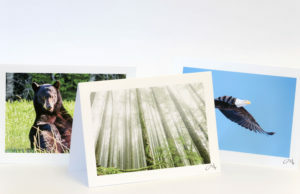 Perfect for a gift, or to record your adventures from the Pacific North West. Funded by a Kickstarter campaign in 2014, Aparent created a business model to encourage slow fashion. 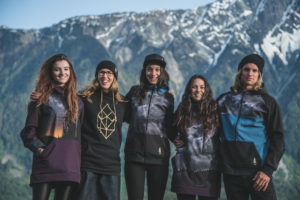 Using fabric as an art media, Melanie Parent handcrafts high quality one of a kind hoodies, limited edition soft shell jackets and airbrush designs on hats. Most of her fabric are sustainable material including hemp, bamboo, recycled pop bottles and more. 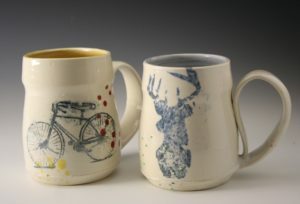 Her designs truly embody the spirit of Whistler. Jordan has lived within the Sea-to-sky Corridor for over 10 years, which has given him ample inspiration for his photography. He takes great joy exploring his local environment and being able to share that with his community is truly fulfilling. Nature and wildlife photography is what Jordan is most passionate about. 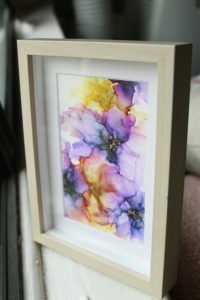 He offers his work as art cards and aluminum mounted prints. Re:creation brings you upcycled and sustainable designs, from handmade clothing to meaningful jewelry. 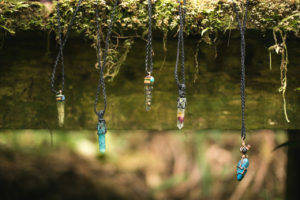 Everything is handmade locally in Whistler, inspired by Terri’s love for the environment. 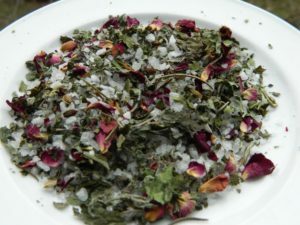 Bowen Island Herb Salts makes sure that our herbs enjoy the best growing conditions and care their little island in the Salish Sea has to offer. Only the finest leaves, sprigs, flowers, fruit and berries are hand selected. The journey takes the harvest through a small batch sorting and drying process before they are teamed up with our purposely selected Mediterranean sea salts and international sugars, where they are transformed into their beautiful signature blends. Heidi offers a wide range of organic essential oils and specialty aromatherapy and herbal creations. 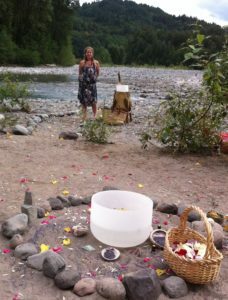 She offers blending workshops, distillation experiences and women’s circles with the intention to weave and connect people. She is certified through The New York School for Aromatic Studies as well as the Pacific Institute of Aromatherapy in Santa Monica CA. We are thrilled to have her in the market this year and her deep love of nature and it’s abundant gifts shine through in everything she creates. 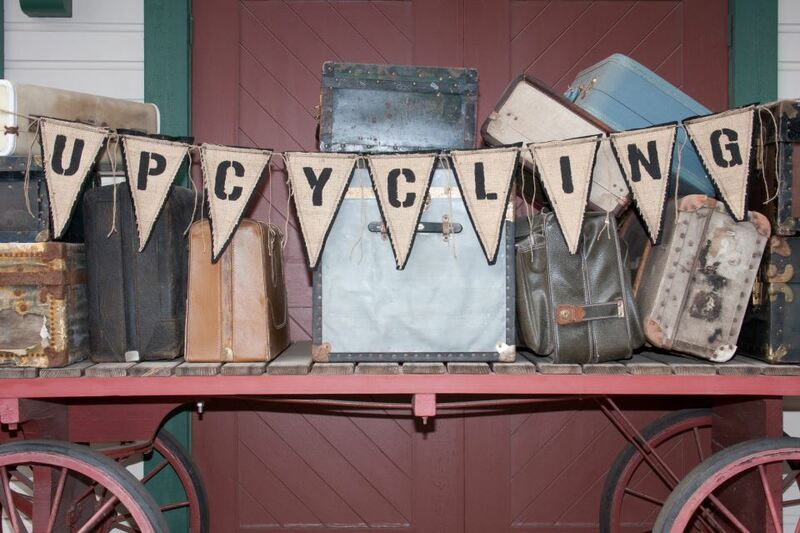 Karen Yaremkewich is based out of Squamish and brings a fresh and exciting perspective to upcycled design. Much of her work is theatrical in nature, full of life and imagination. She brings a special whimsical children’s collection to our market including tutus and wonderful little boy bow ties. sneak plastic earrings onto her ears and into family portraits. 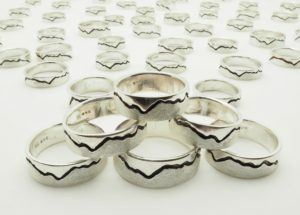 Since those days she has apprenticed as a silversmith in Uruguay, earned a three-year diploma in Jewelry and Small Object Design from the Kootenay School of the Arts and studied in the coppersmithing town of Santa Clara del Cobre in Mexico for eight months. She currently is undertaking classes in the Sculpture Department at Emily Carr University of Art and Design and works from her studio in Squamish, BC.